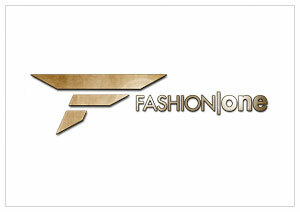 New York, January 4, 2013 – Fashion One LLC, the international channel for fashion, entertainment and lifestyle programmes, announced the debut of a dedicated Latin American feed, available in NTSC in both SD and HD on IntelSat-805. The regional feed with programmes in Spanish will allow the channel's programming schedule to be customized accordingly. The global television network has been available on a limited preview basis in the Americas, utilizing IS-805 capacity at the 55.5 degrees West orbital position, and will now contract the required capacity from Intelsat under service providing from Arqiva. The channel will cater to both North and South American markets by showcasing Latin American Fashion Weeks, along with an array of exclusive events, features and other localized content in Spanish subtitling and voice-over to accommodate the fast growing Latin American Pay-TV market. "The region is ripe for the launch of a channel which brings together global fashion, high quality international entertainment and lifestyle TV programmes; and initial feedback from Pay-TV operators has been very positive," said Ashley Jordan, CEO for Fashion One LLC. "With Fashion One LLC's ongoing commitment to creating new content locally, the channel will bring discerning viewers in the region a continuous offering of fresh, world-class entertainment, global fashion with local flavour." Ashley Jordan concluded. The Distribution of Fashion One LLC Latina, will be handled by ALL TV, a Latin American company with offices throughout North-, Central- and South-America, which over the last 19 years has grown to become a leading distributor of international pay-TV channels, sports and entertainment content.